A Jaw/Swage Bottlescrew or Rigging Screw consists of one (1) AISI 316 marine grade stainless steel Threaded Jaw, also known as Threaded Fork, and one (1) AISI 316 grade stainless steel Swage Terminal, also known as Swage Stud, screwed into each end of a spun stainless steel threaded pipe, or Bottlescrew. Miami Stainless Threaded Forks are cast AISI 316 marine grade stainless steel with forged AISI 316 marine grade stainless steel pins and are designed to attach to a wide range of fixtures and fittings. Miami Stainless Swage Terminals are forged AISI 316 marine grade stainless steel and are designed to be swaged directly to stainless steel wire rope. 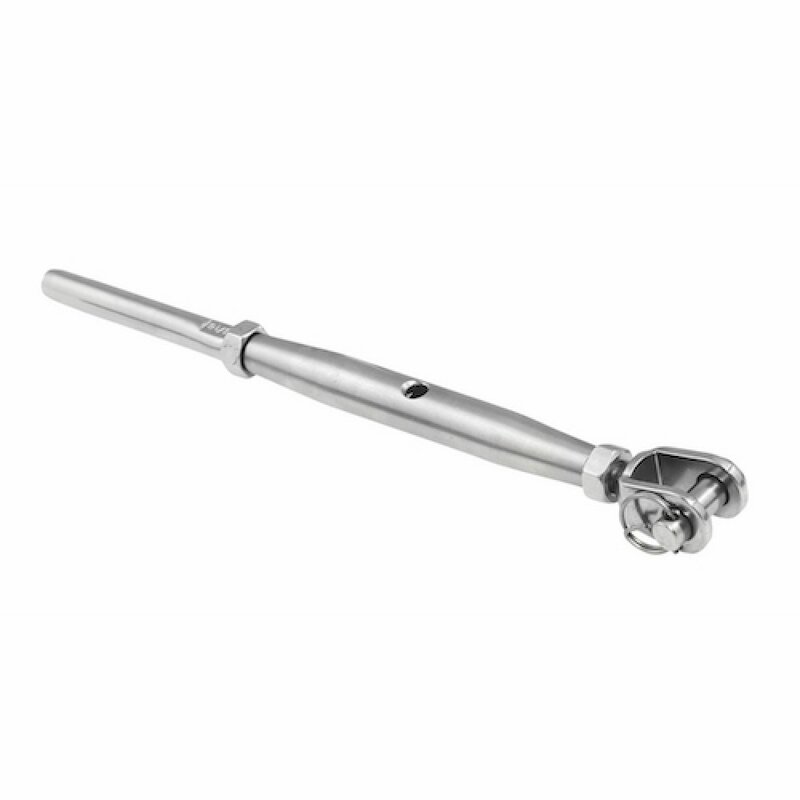 Miami Stainless range of Bottlescrews include Econ® and the ultra high quality ProRig brand. Please note; Swage Terminals must be swaged to wire rope with an appropriate swaging press. Bottlescrews are specifically designed to conceal the threads within the pipe for an aesthetically pleasing streamline look.